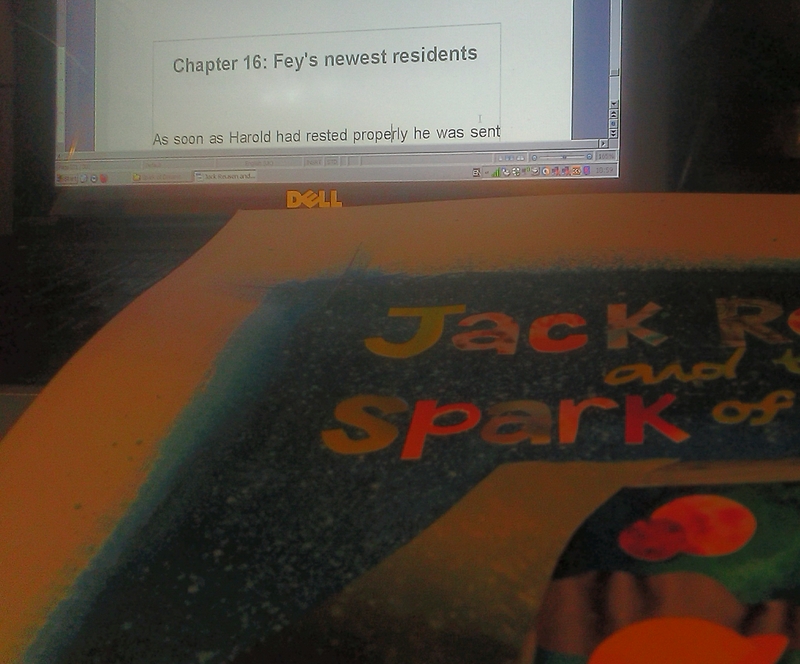 A few weeks ago two copies of ‘Jack Reusen and the Fey Flame’ went off on their way to Crieff Primary School. The school is in the middle of moving buildings at the moment so I don’t think they’ll have time to have me over for a visit or talk but I couldn’t resist the chance to send them a couple of reading copies down for kids to have a look at. It’s really odd for me because that’s the primary school I went to (my own kids go there now too) it’s a nice sensation sharing something I’m so proud of with a place that helped me to broaden my reading and learn the early parts of putting a story together. It sounds like the children who have been reading about Jack’s world so far are enjoying the books and I’m looking forward to any feedback that the pupils and teachers might have for me. I missed a chance to visit the school for a special event they were holding on Thursday to commemorate the old building (they’re moving to a brand new campus-style building after the summer holidays). I wish I’d had a chance to say goodbye to the place but I’ve already been lucky enough to watch my wee boys enjoying the place and I’ve had more than a couple of opportunities to enjoy all kinds of events offered by the school over the past few years. Crieff Primary helped me come out of my shell and feel more comfortable as an individual, and I think they’re still carrying on that tradition with their current pupils. As much as I’ll miss the old building I’m glad to see that what makes CPS will still live on. This entry was posted in Uncategorized and tagged confidence, cps, Crieff Primary school on 31 May, 2015 by John the Toy Shop Guy. 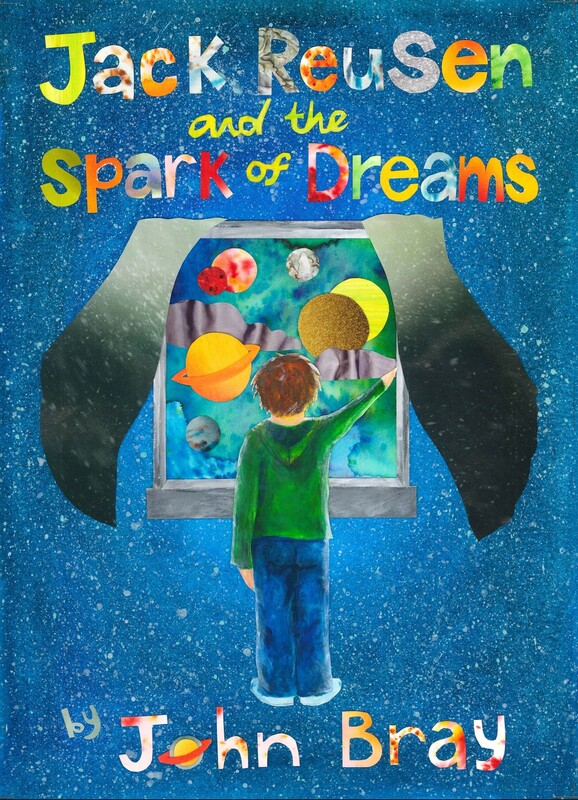 There are two big reveals to share tonight: a sneak-peak of the cover for ‘Jack Reusen and The Spark of Dreams’, and on top of that I’m sharing the title of the very last chapter, it’s that close to completion! I’m so sorry for the long wait, editing has been a tough run this time round. I did something with one of the main characters that I wasn’t 100% happy with, unfortunately it was quite early on in the book so changing it has had a ripple effect. 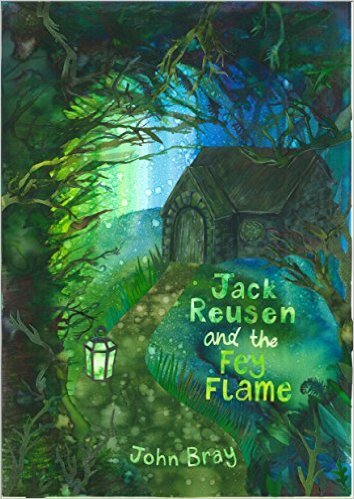 ‘Jack Reusen and the Spark of Dreams’ is looking to be ready around a month later than the April release promised at the back of ‘Jack Reusen and the Fey Flame’. To everyone who has been asking about it, I am so sorry for the delay, and thank you for all the support you have all shown so far. As for the book cover I hope you like the wee snippets shared in this post. I put out a call for an illustrator a few weeks ago and an illustrator called Karen MacAllister came forward (pop over to her illustrator website and her blog to find out more about her work). She showed me some great wee preliminary sketches and we took it from there and, thanks to Karen we now have a really dynamic and intriguing cover. 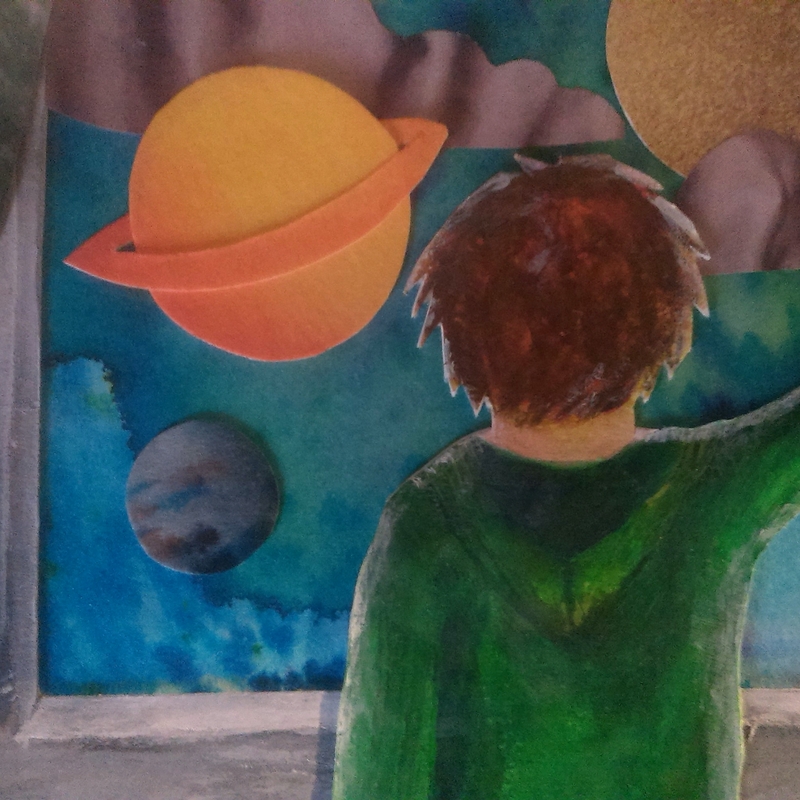 To be slightly annoying (building anticipation a bit), I’ve decided to only show small portions of Karen’s finished work. I thought it’d be more fun to share the finished article once the book is out. I need to point out that Karen’s advice and knowledge were almost as valuable as her artistic skills in creating this cover. She really knows her stuff and de-cluttered my original plans to produce something that catches the eye and draws you in and I absolutely love the colour and tone she’s put into it. I’m going to edit like a lunatic over the next couple of days, the book is all but done but I want to really do this justice (it isn’t easy getting the balance right in zombie scenes for kids). So many readers have been so supportive of this next leg of Jack’s adventure that I don’t want to let them down. Hopefully the story within will have the same draw as Karen’s fantastic cover. This entry was posted in Book Progress and tagged book launch, children's fantasy book, Children's fiction, early years chapter book, fantasy, Fey, imagination, independent author, Jack Reusen, jack reusen and the spark of dreams, john bray, MG fiction, scotland, scottish, scottish author, writing, zombies on 21 May, 2015 by John the Toy Shop Guy.